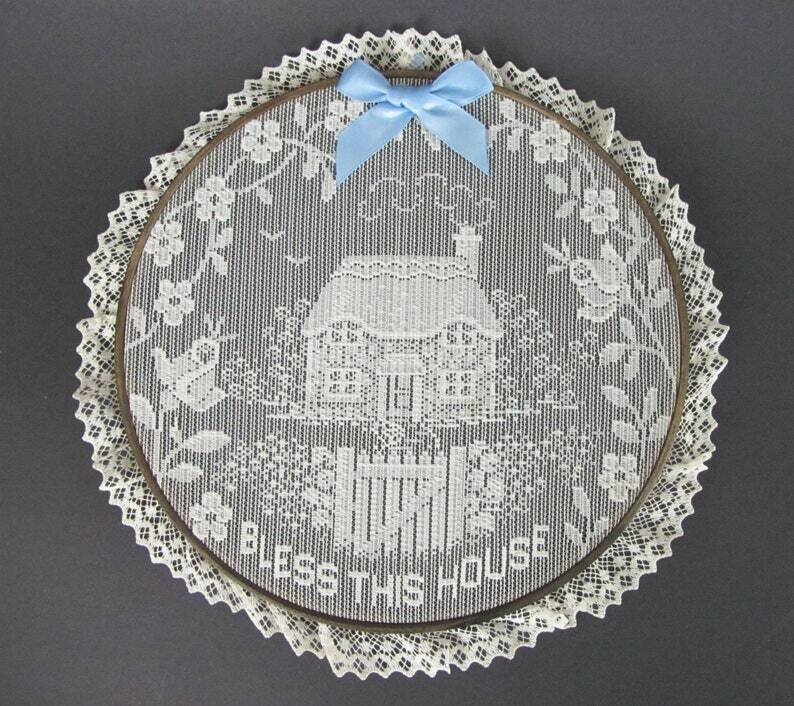 BLESS This HOUSE lace hoop decorative lace. 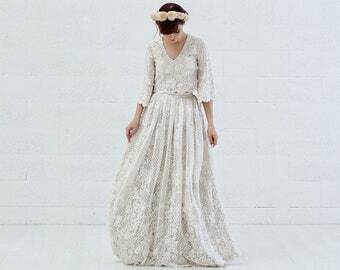 Frilly white lace with a blue satin bow. 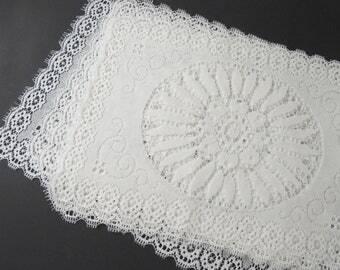 Lovely vintage lace for a romantic decor. Color: white with a blue bow. All happy homes need a BLESS THIS HOUSE heirloom motto.